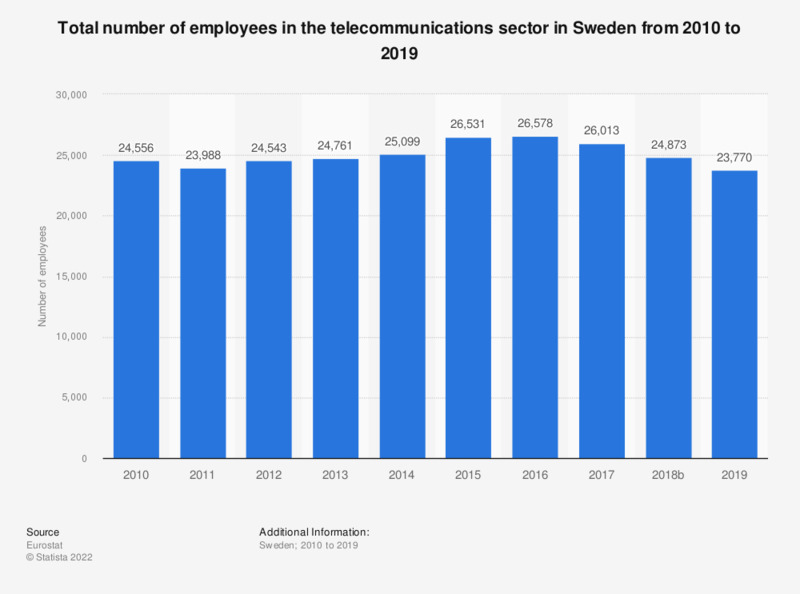 This statistic shows the total number of employees in the telecommunications sector in Sweden from 2008 to 2015. In 2015, the telecommunications sector employed 26,531 people. Data coverage corresponds to Section J61 of NACE Rev 2. Everything On "Telecommunications industry in Sweden" in One Document: Edited and Divided into Handy Chapters. Including Detailed References.